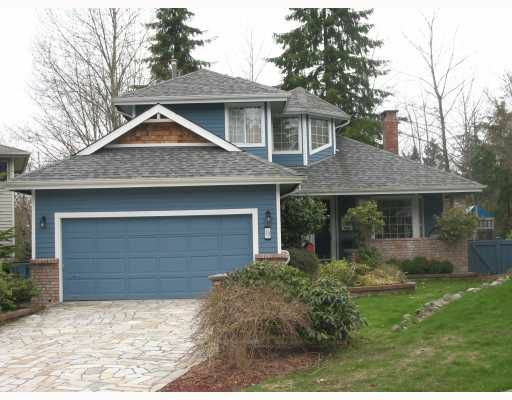 This home is in a great family oriented C-D-S in desirable Heritage Mountain. Updated 3 bdrm home w/2 year old roof, hardwood floors, 2 wood burning fireplaces, formal living room & dining room, large kitchen that is open to the family room& sliding doors to your backyard. You will enjoy the large pie shaped west facing yard w/extra large decks for all your outdoor entertaining. The location of this home is excellent w/walking distance to shopping, transit, West Coast Express, restaurants & schools. Open House Sat Apr 18, 2:30-4:30pm.